Day Three of the Third Test of the Oye Hoye 2018 Pakistan vs New Zealand Test Series presented by Brighto Paints, got underway this morning as Pakistan came out ready to bat under the haze of Hafeez’s retirement cloud. Azhar Ali showed clear intent from the offset, sending the ball flying over backward point for four off the opening ball. He then racked up another three runs thanks to some swift wrist action of the bat and slipping the ball through midwicket. 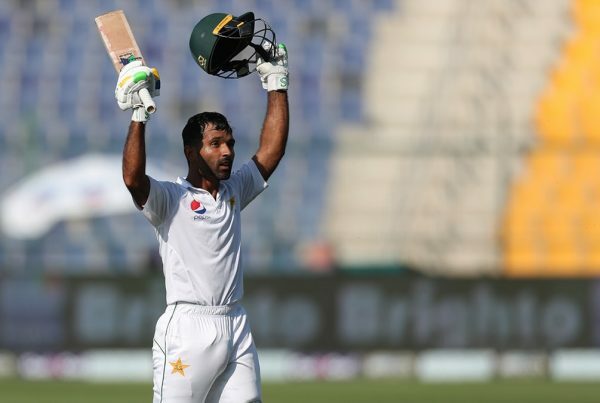 Ali and Asad Shafiq began to grow a steady partnership, with Ali reaching 100 in the 75th over after an outside edge – with no slip to cover – saw the ball get away for four runs. This took Ali to his 15th Test century and the first hour saw Pakistan climb from 139 to 193 in somewhat comfortable circumstances. Pakistan continued to hunt down their target of 274, as they cruised into the 200s just after the 76th over. Shafiq reached his half century through a reverse paddle stroke, getting it past the first slip for two, while Ali remained composed at the crease allowing himself not to be drawn in to teasing balls from Ajaz Patel. 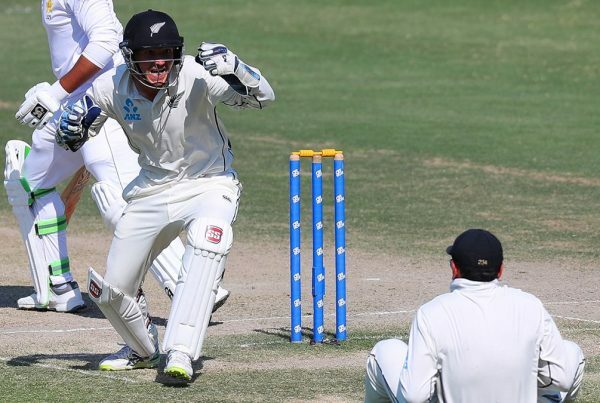 Tim Southee welcomed the new ball in the 81st over, delivering with pace and vigour and only allowing one run to slip during his over; would the new ball help New Zealand break this sold Ali/Shafiq partnership? Well, the huge appeals in the 82nd over certainly looked like the start of such a break up. Shafiq looked to being caught behind but after review, the UltraEdge showed no signs of contact and New Zealand lost their appeal. 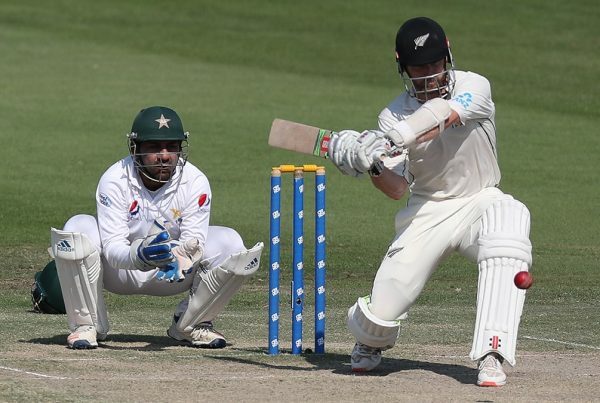 Southee and Trent Boult did their best with the new ball, yet the partnership of the Pakistan batsmen withheld, despite only taking three runs for the following five overs since the new it’s entry; one-run overs and maidens were bound to have caused frustration for the Black Caps. There was even a period of 20 dot balls before a single run was eventually chalked up in the 87th over. Captain Kane Williamson threw his top bowlers – Boult, Patel, Southee and Colin de Grandhomme – at the Pakistan batsmen, yet to no avail. Pakistan strengthened their grip on the Test with a respectable 85 runs in this morning session. The call for lunch sees Pakistan on 224/3 – trailing by 50 runs with seven wickets remaining in the innings.